Summer's about to end, but I just want to share some photos I took during my quick vacation in Boracay. Months ago, mom booked a roundtrip flight from Davao to Caticlan because she wanted to celebrate her 50th birthday outside Davao. Yup, you read it right - a direct flight from Davao to Caticlan! Spell convenience. The long wait is over. My favorite apparel store is here in Davao! Uniqlo Philippines finally opens its first store here in Mindanao! In line with their 5th anniversary here in the Philippines, Uniqlo opens more branches in Mindanao - 2 in Davao (SM Lanang Premier and SM City Davao), and 1 in Cagayan de Oro City (SM CDO Downtown Premier). Uniqlo is one of my travel essentials. When I went to Korea last winter, Uniqlo saved my life from the harsh Korean winter. Anyway, come and visit Uniqlo at SM Lanang Premier this Friday (May 26) and get the chance to win awesome prizes! The first 50 customers will not just receive gifts from Uniqlo, but they'll also shop with Ms. Pia Alonzo Wurtzbach, Miss Universe 2015. Here are some photos during the VIP sneak-peek launch of Uniqlo which was held yesterday at SM Lanang Premier. Like Sheldon Cooper of The Big Bang Theory, I love trains, well, except for Thomas the Train because I find him creepy. Whenever I travel, I always take the time to ride one. There's something about train rides. I don't know, maybe because we don't have a train system yet in Davao, making it an unfamiliar travel experience to me. 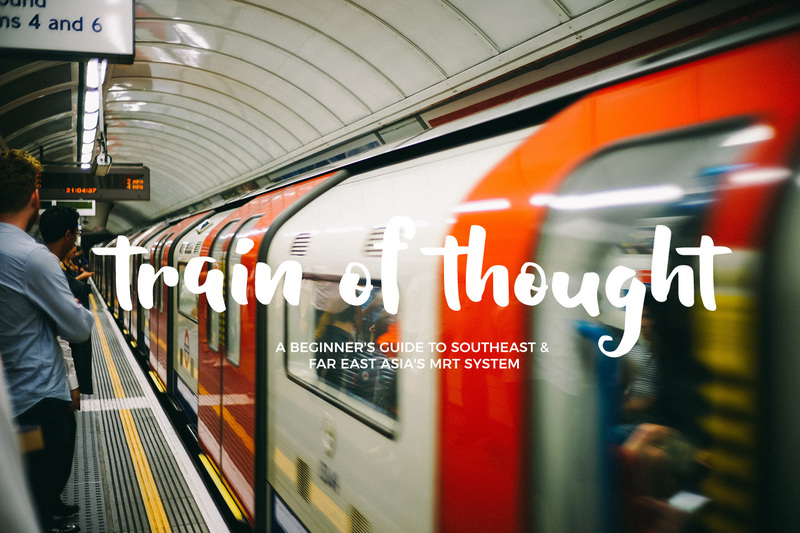 Today, I'm going to share my experiences and a few tips on how to navigate around starting from the simplest MRTs to the most complex system I have experienced. Davao is an emerging tourist destination. There is a significant growth of both local and foreign tourists visiting Davao. Whether it is for business and leisure, Davao has it all. With an ongoing slogan of Life Is Here, the city is blessed with fertile soils, verdant mountains, and surrounding cerulean seas. In this day and age when traveling becomes accessible to almost everyone, it is important to take note that travelers are keen with their preferred hotel's price in the city. Today, booking is a breeze because there are so many applications that can be downloaded on your smartphone. But, did you know that there is one particular app that can compare prices of your hotels on your preferred dates? The Traveloka App is truly a lifesaver. 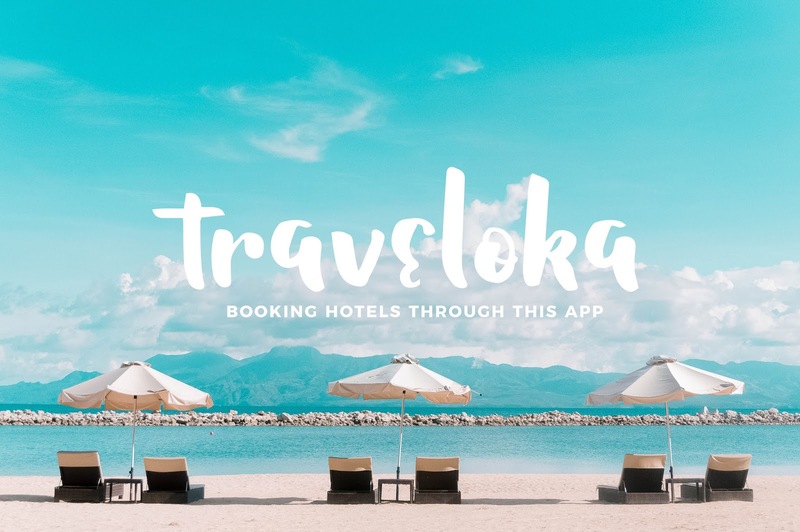 Why choose Traveloka as your ultimate travel booking app? 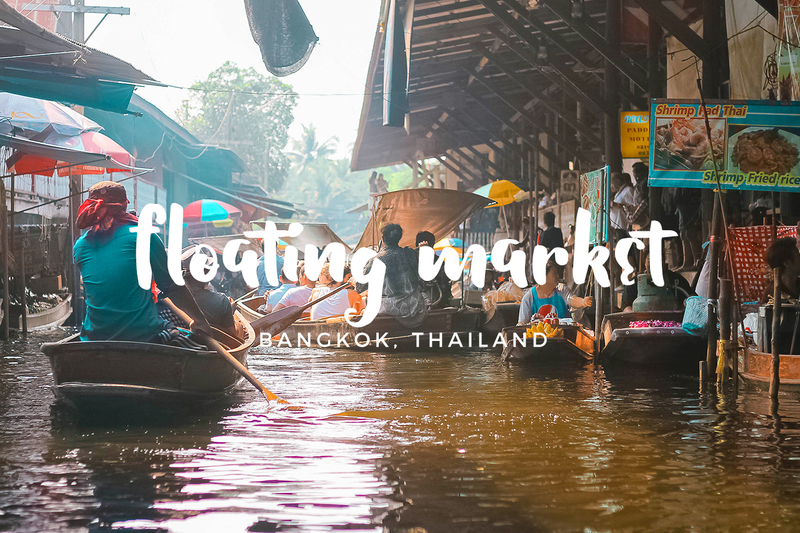 Your Bangkok adventure is not complete without visiting their famous floating markets. Centuries ago, the banks of Chao Phraya River became a settlement area. The lives of the villagers depend on the river banks of Chao Phraya. The tributaries and canals were the primary transportation networks during that time. To answer their basic necessities, markets started to proliferate along the river banks. It canals became a center of trade. As road and rail networks developed in the late 18th century, the villagers started relocating their markets on the ground, forcing some to close indefinitely. Today, these floating markets still exist and became one of the famous tourist attractions in Thailand. When we visited Damnoen Saduak floating market in Bangkok, there were a lot of tourists, both local and international. I was really amazed by the experience because it felt like I was transported back to time, sans the selfie sticks, cameras, and smartphones. Food markets are starting to become a trend in Davao, and I think it's a great thing. As new restaurants starting to sprout like mushrooms in almost every corner of the city, I guess the locals are now ready to invest to new fusion cuisines and gastronomic adventures. As a self-proclaimed food junkie, this is a perfect place not just to discover new dishes that are locally made in Davao, but also a great venue to be with people who share the same passion - food. 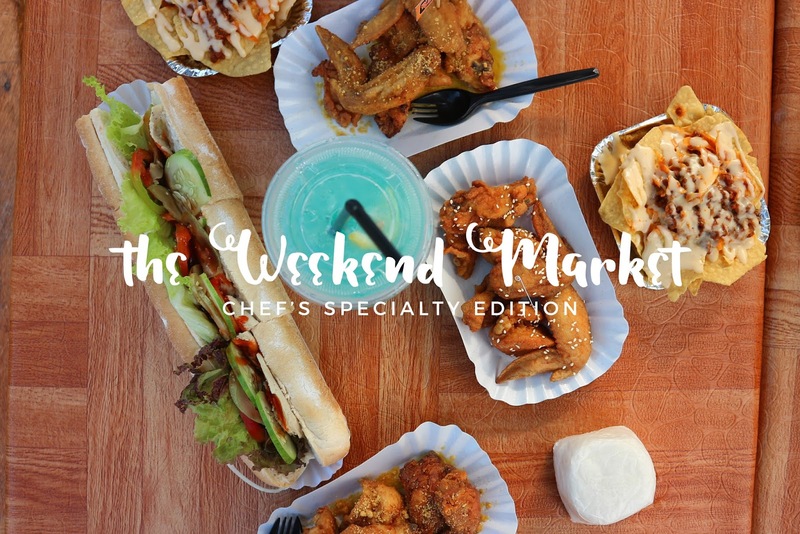 Last week, Manic Nightnings Productions organized The Weekend Food Market: Chef's Specialty Edition. For four days, Davaoeños enjoy a variety of food at SM Lanang Premier's parking lot B. This month of May, they will be organizing another edition of The Weekend Market with a theme "Smoke in the City". I am so excited to be there again! In the meantime, allow me to share some photos I took during the previous edition of The Weekend Market. I hope this post didn't make you hungry. 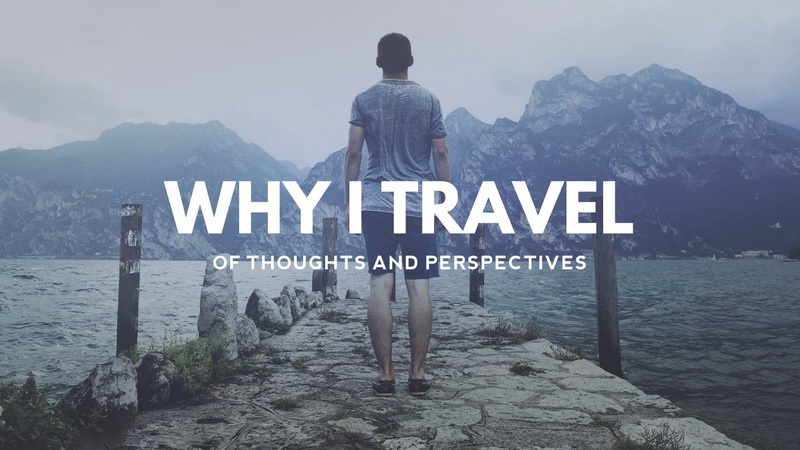 One thing I learned about traveling is that you can't control everything. 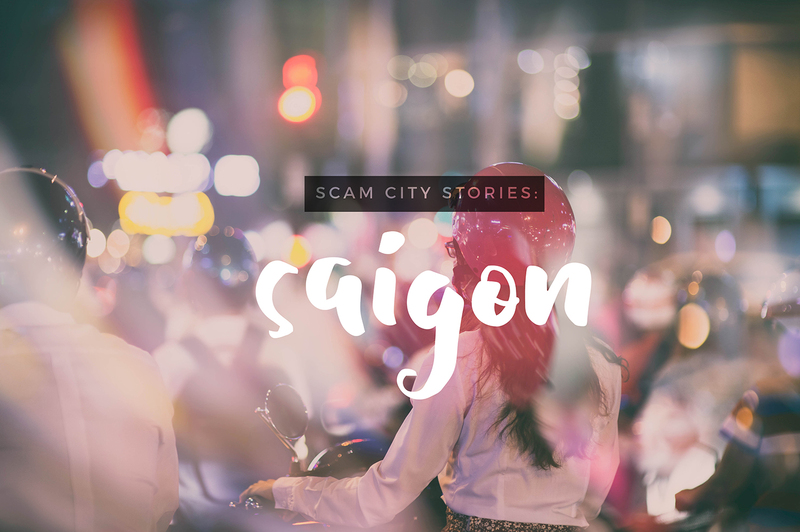 I am going to share a story about my bad experience in Saigon. Don't get me wrong, I love Saigon, but it's just the fact that not all things you see and read on my travel blog are pleasant. It all started with a crazy weather disturbance in Manila. My flight to Saigon (Ho Chi Minh City) from Manila was scheduled to depart at 10:30 PM (PH time). The storm had just intensified after passing the capital, forcing airlines to cancel most of their flights in the domestic sector. Luckily, our flight pushed through, albeit the five-hour delay. We finally left Manila past three in the morning and arrived in Saigon a little past five in the morning, local time. Little did we know that our ordeal has just begun.